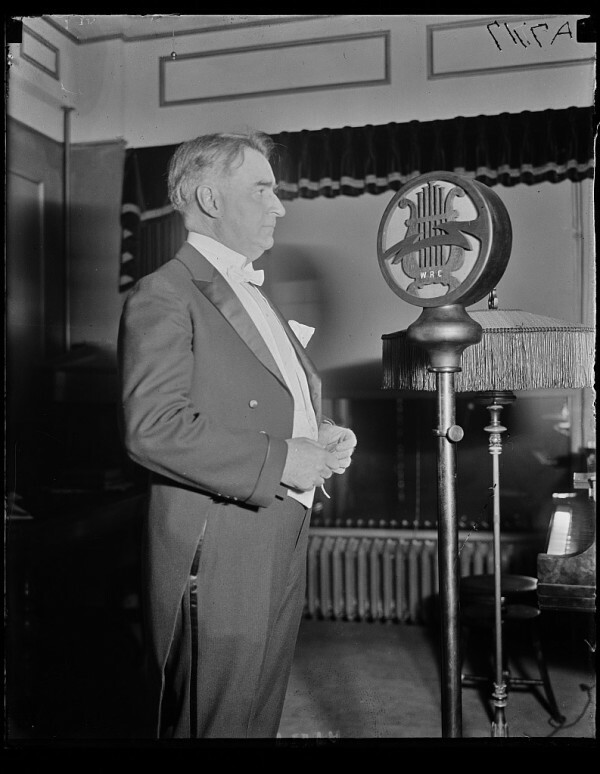 Senator Royal S. Copeland delivering an address over the radio. The South is a Land of Spoken Word. Our friend Marty called a while back to invite us to perform at a salon in a lovely old house on the outskirts of town on a Sunday afternoon. What do you want us to play I said. Well, your regular old time music will be lovely, she said, but there’ll be a woman reciting poetry and a fellow playing a classical piano piece,so in addition to playing perhaps you could do some spoken word. Sure I said. No problem. After we rang off the phone I looked at Nancy. Yes, that’s right. Spoken word. What is it, she said. Really, she said. You certainly acted like you knew what it was when Marty asked if we could do some. Sure! No problem! Spoken word you said. That’s because I figured you knew what it was. I thought you’d know what it was. Because you know things like that. Rabbit Box Five for Nancy’s solo spoken word.